I have to let you know how good this place is. I'm surrounded with Lao friends and they know how to make good food. 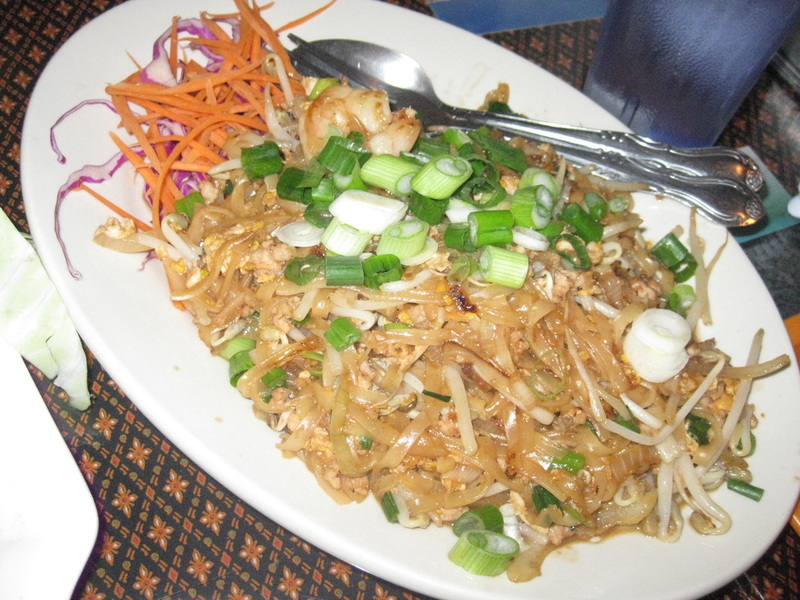 I love everything from their papaya salads, larb salads, and noodles. This restaurant definitely brings the home kitchen to the restaurant. They serve dishes that I would get from my friends' houses. They offer papaya salads in both Thai and Lao style, served up to your spice level. Be careful not to order it TOO spicy. My friend and I made that mistake with our papaya salad shown below ;) Their chicken larb is mixed in with fresh mints and scallions; it was pretty decent to my tasting. 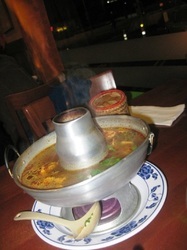 Their rich coconut tom yum is served hot and tasty in a big bowl enough to feed table of 4. 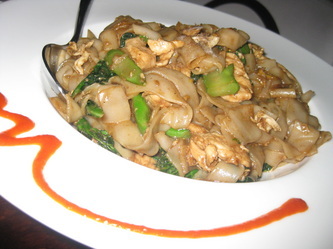 All their noodle dishes are good like their pad lar and drunken noodles. 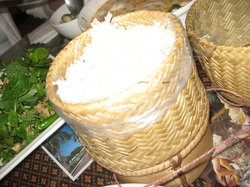 And they also have sticky rice in bamboo baskets (not served in a plate); that's how rice is eaten in Lao homes. Their generous portions are served family style so do share ;) My mom came here with me one time and she loved it. That alone should tell you how good it is because my mom is quite hard to please. She can do spicy food and she likes how the dishes were spicy enough for her ;p If you don't get it spicy, then it's not real Lao/Thai food. This place does it right! My friends took me here right after they picked me up from the airport for some late night eating. Although we were there kind of late (being the last party to leave), the staff was very friendly to us. The food here was actually really good. 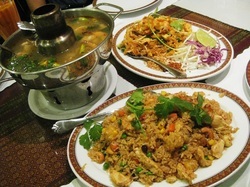 We had the soup, fried rice, and a chicken dish (I think). I just remember walking out of here being full and satisfied. I have other friends in San Jose that I met up that night and they all knew about this place. From that, I'm sure all their dishes are pretty good and are known to the public. 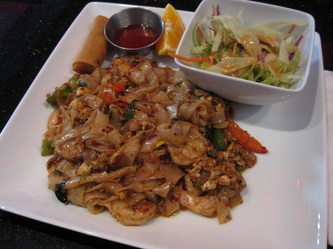 This place can be found east of Hollywood Blvd in the town they call Thai Town. It's funny how they call it 'town' when it actually is only 2 blocks worth of Thai shops. It sits in a little plaza adjacent to other Thai restaurants and bake shops. I love papaya salad prepared the Lao/Thai way and I always get it when I go to my friends' houses. 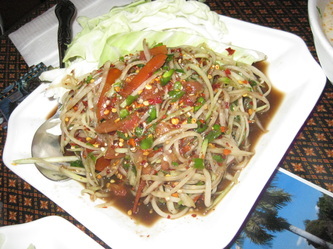 They first shred green papaya and mix it with lime juice, tomatoes, cane sugar, and fresh chiles. We had ordered their house special papaya salad with raw blue crab. 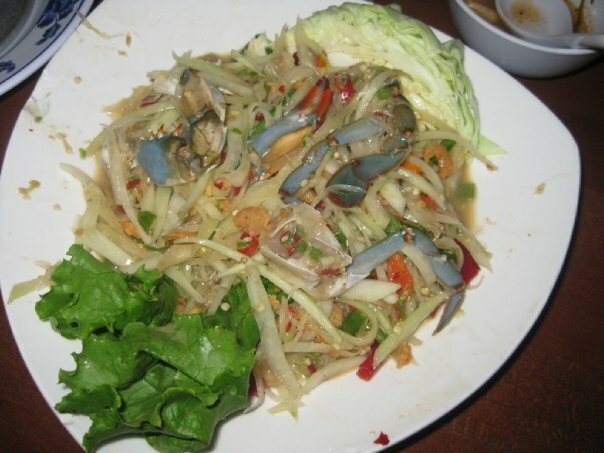 I never had raw blue crab before and especially not with papaya salad. It was pretty good though after I got use to the taste and texture of it. 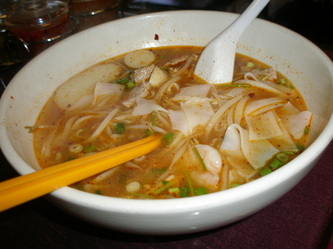 Their tom yum soup was VERY GOOD! 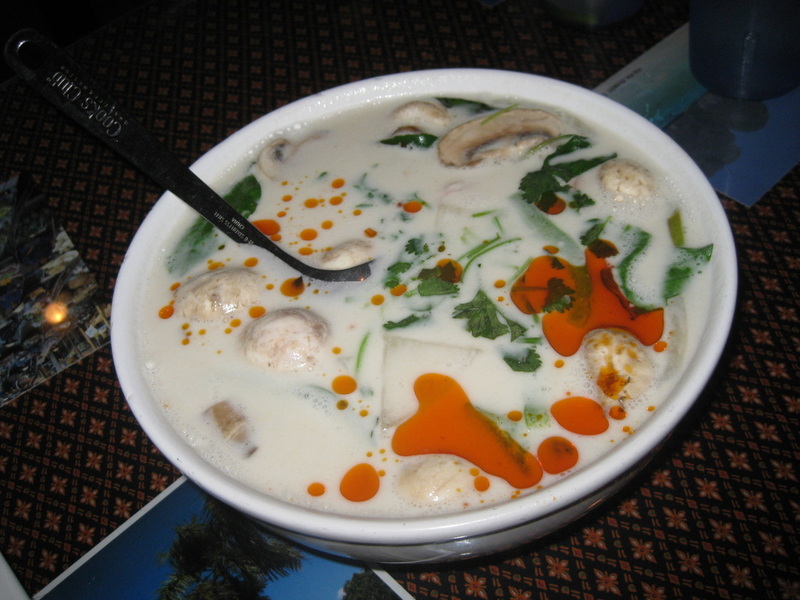 I can actually say it's probably one of the best tom yum soups I've ever had. They definitely made it special and although I can't describe it, it was different from most Thai places. 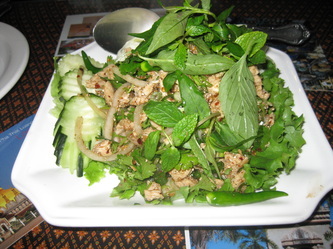 The larb salad is one of my other favorites so I had to order it here. We had gotten the chicken larb and although it was good, it wasn't as good as how my friends' moms makes it. I guess nothing taste as good as homemade but this was definitely close. 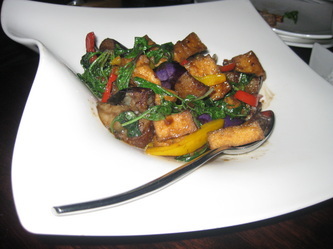 Served with sticky rice in bamboo baskets, this was a good meal. This place opened not too long ago but I'm glad it did open. Before it opened, my coworkers and I always have gone to Thai Time because it was the closest Thai place near my work. I'm not crazy about their food and/or their service. 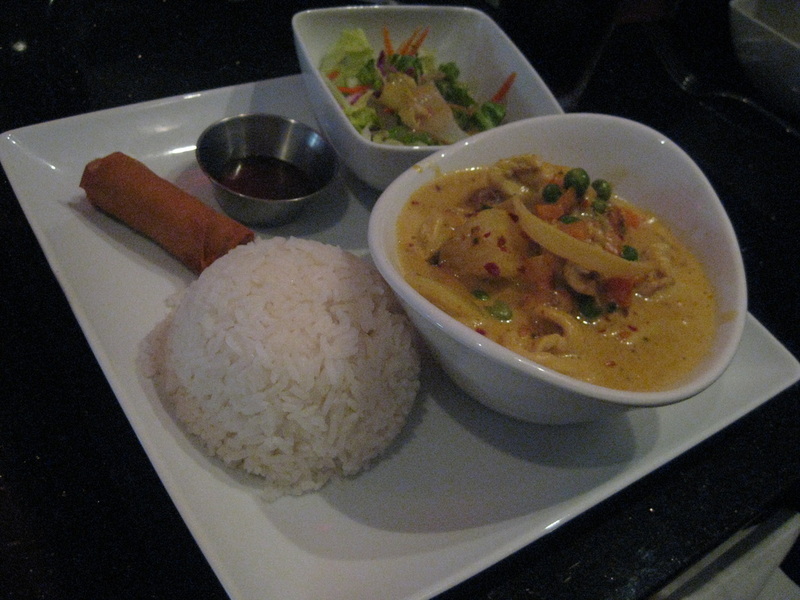 So when Mint Thai opened near my work, I had to try it. The food came out pretty tasty. I had the spicy drunken noodles and I finished it all. My other coworker had ordered a beef dish and was quite pleased with it. The lunch specials were just perfected portioned and plated beautifully. Of course, this is the American way to serve Thai in fancy restaurants. 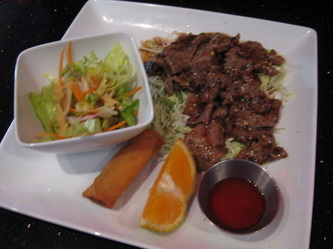 The staff was friendly and attentive towards our needs. I am scheduled to go back here with my other coworkers to try their other dishes. I had a late dinner at Osha on my last visit to SF but it actually lasted a few afters last call. I suppose the name of the place 'Osha' is pretty popular in San Francisco because they have 7 locations. The one I went to is located on 3rd st. The venue is pretty and modern. 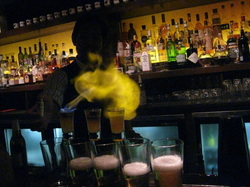 I think the food was good and so were the drinks at the bar. 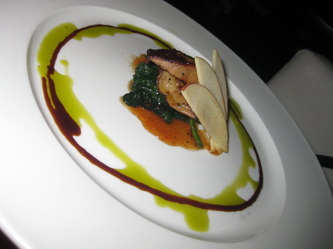 The grilled foie gras was tasty and different from how I'm use to having it prepared. We had ordered the Pad See You and it was pretty darn good. 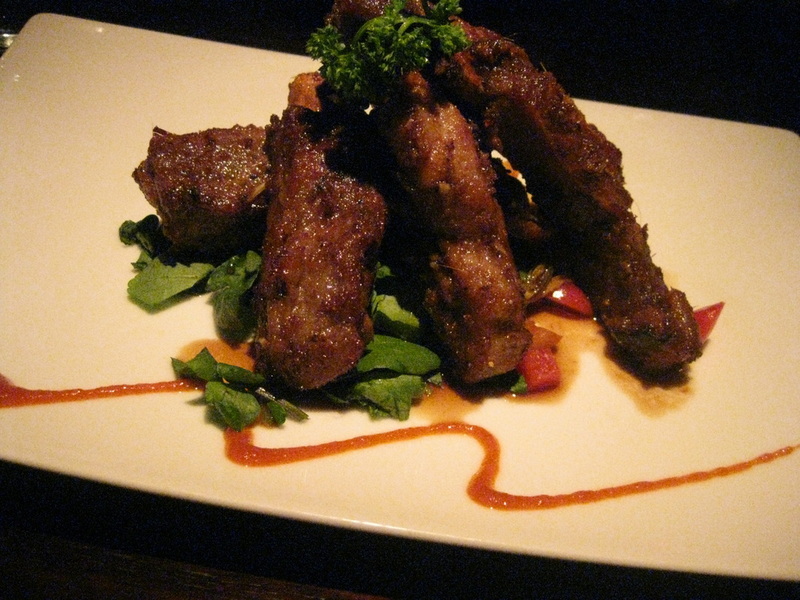 The ribs just melted in your mouth. 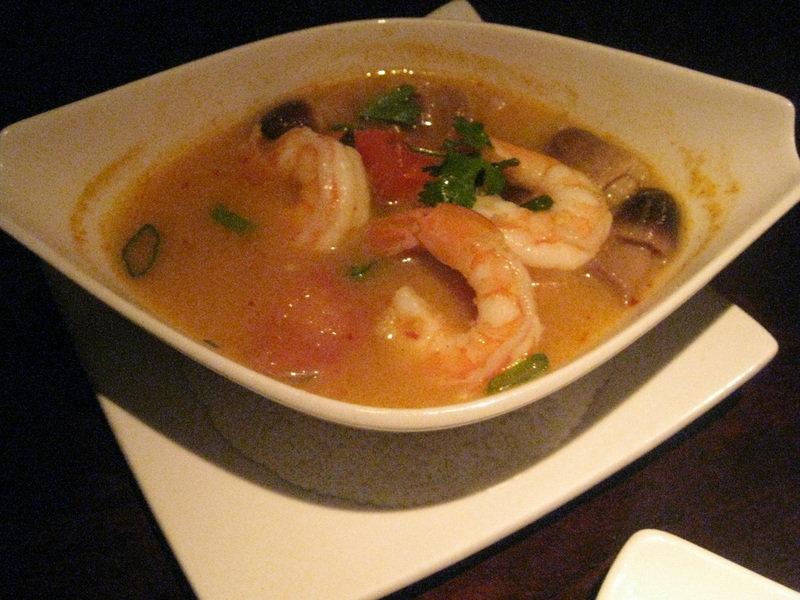 The Tom Yum soup was tasty and had big fresh prawns. My friends lived in the apartments behind Osha and so they knew the bartenders pretty well. The guys are nice and generous with the drinks. The drinks are super original and tasty. 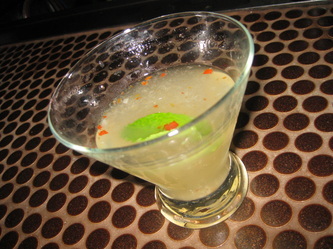 You don't get regular cocktails here because they're always trying to create something new like my chile drink (shown below). And we didn't just come here once when I visited, that should probably tell you it's the spot to hit up if you're in SF. The noodles here are delicious! 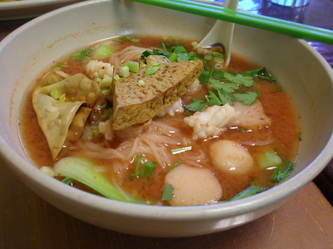 It's a great alternative after a long night/morning in Vegas than pho on Spring Moutain Rd (aka Chinatown) ;p This place is a little small but the bowls are really big! I had the rice noodles in the red bean base soup with fried tofu and fish balls. It was definitely a first for me (since I don't usually eat red beans) but it definitely worked for my taste. 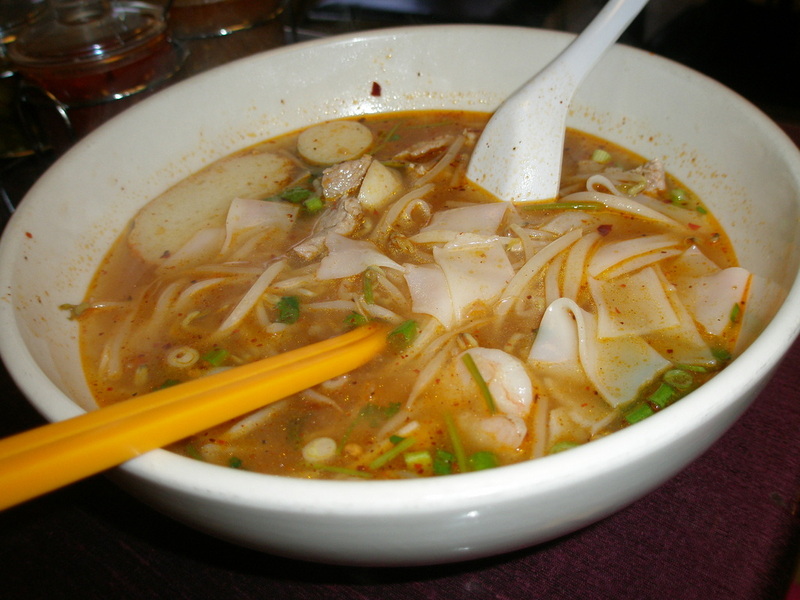 The broth was kinda sweet and savory from the red beans cooked into it ;) My mom enjoyed her version of tom yum seafood noodle soup as well. 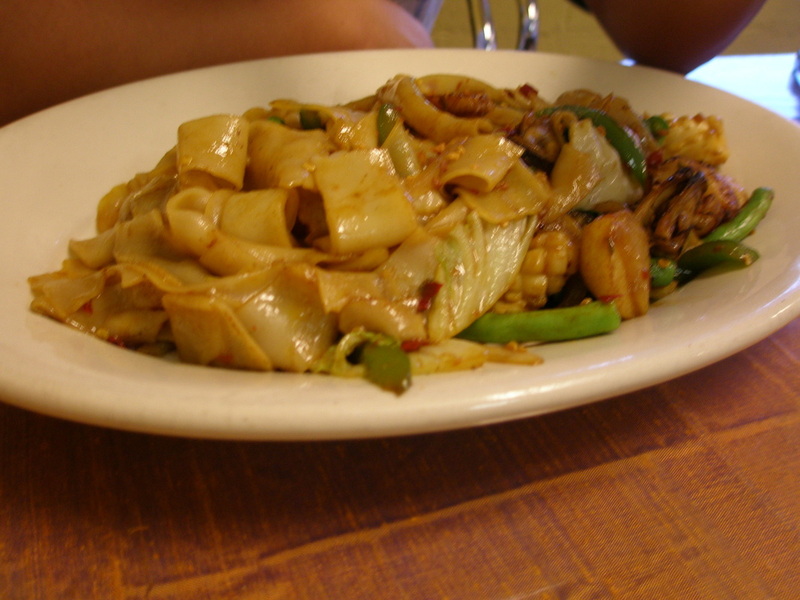 My brother had a version of what I believe was Drunken noodles wok stir fried with seafood and he was a happy camper. This place had something on the menu for everyone. You have so many options here that you can't go wrong bringing your friends to this place ;) And you'll be able to avoid long waiting lines at the pho restaurants too; so that's a plus.